Once again we had a very successful Evening with Industry this year! For those of you that don’t know, every year before the Fall Career Fair, our section hosts a fantastic networking event and dinner where students can mingle with companies of their choice and make great connections! Hopefully many students were able to network well and land a job with the company of their dreams! A huge thank you to Britta Anderson and Erika Poli for organizing the event, and all other SWE members who volunteered to make the night a success. 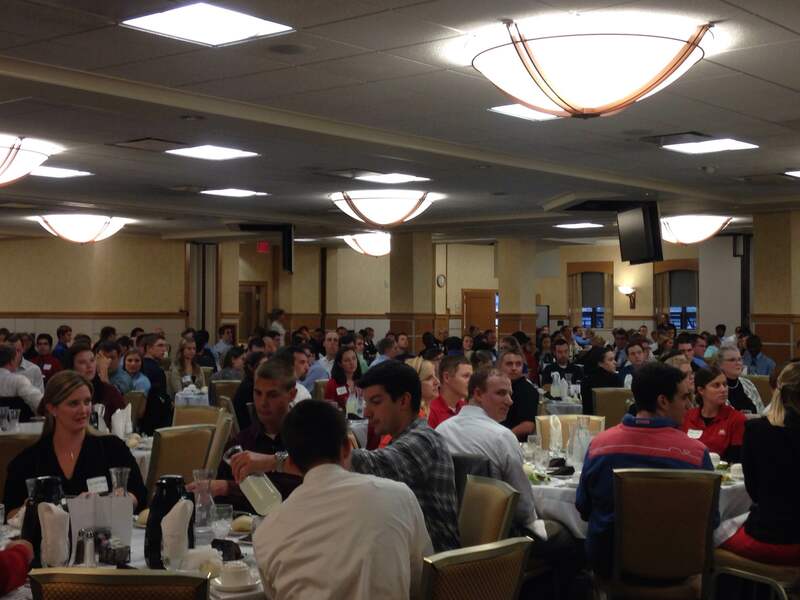 Check out the picture below…we had a great turnout!